Good drinking Shiraz for the money. There's plenty on offer - deep plums, mulberries and even some blue fruit aromas all getting me in the groove. Delivery kicks up some smoke and meaty characters and that typical peppery spice which chimes in late. 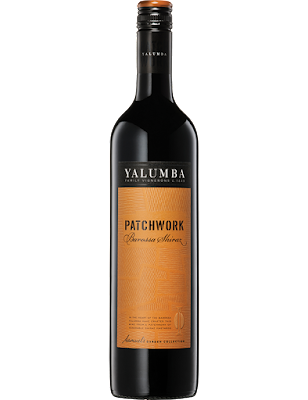 Yalumba have a knack for reliability and this Shiraz ticks the box as a solid go-to once again. You'll find it on special below 15 bucks too, a double win. 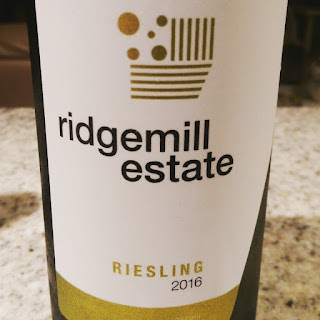 Of the two new release O'Leary Walker Rieslings, this Polish Hill steals the gong from the Watervale, although the Watervale 2016 is a delicious wine it its own right. Previously the two have shared the same price point, but the organic practices used in the vineyard for this Polish Hill, the last 8 years no less, have no doubt pushed the price up by five bucks. Regardless, this is super drinking. The restraint and tight cut have my attention here whilst others would prefer the fruit driven Watervale - horses for courses. Riverstone and slate minerality, the structure is very focused and clean. Lemons, limes and green apples take the stage. Chalky to finish and just damn tasty. Drink now or will age gracefully well beyond a decade. One of the highlights for me each year is receiving these O'Leary Walker Riesling samples and to see which one sways me. I'm headed back to the Polish Hill from these 2016's, but this Watervale is certainly no slouch and deserves attention. The juicy factor of this Watervale release cannot be denied, nor can the pretty aromas it exudes. Lemon sherbet, lemons, pretty white flowers. Fruit delivery is plentiful whilst the acid has a zip before it cleanses the palate. Talc to finish. Big smiles. 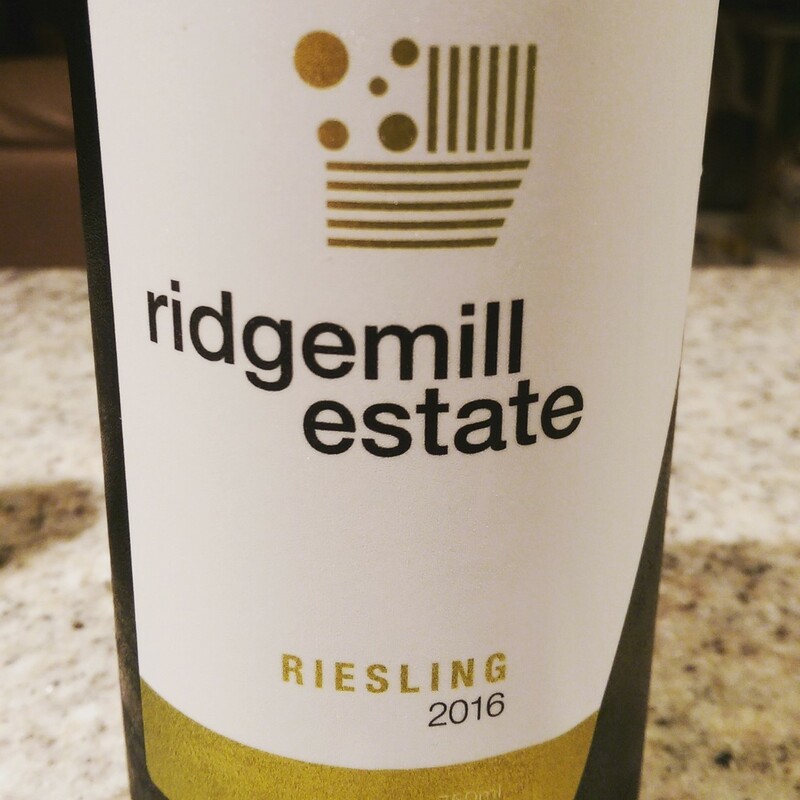 A fantastic Riesling for the money. I'm thinking lamb and big pours of this will do just fine. Another classy release from Pizzini. 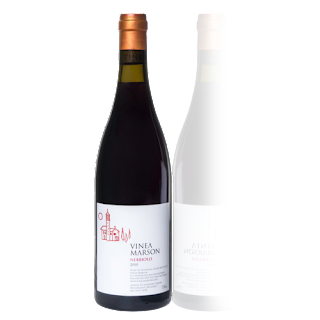 Dried red flowers, fennel seed, licorice and red fruit aromas. Fruit cake spices line the plum and cherry fruit. There's even a hint of raspberry in there. Earthy and some leather also make a cameo before super fine powdery tannins roll through effortlessly to a long, moreish and most satisfying finish. One for the shopping list for sure. Walk over broken glass for this. After a blind tasting I pushed all aside and came back to here - 'nuff said. I had another couple of glasses the following night too. Boom! Oh so devine. It's smooth, it's generous, it's lengthy and comforting. Damn! Made with 25% new oak, not fined nor filtered, winemaker Caroline Mooney upholds her values with no acid adjustment. We had a good chat about this when I caught up with her at a Yarra Valley event recently. Dark fruits are in abundance but it's that cool climate appeal delivered here that is hard to resist. Layers of interest then reveal themselves effortlessly. There's smoke, some peppery spice and the acidity is trim and dances perfectly with the fruit. The Chardonnay release in the range is just as impressive. A solid wine but it hasn't got me screaming from the hills. Driven by savoury characters, that leafiness is evident and as time ticks away, chocolate and dark fruit start to own the space. An 80/20 blend, it's smooth enough, tasty enough but just lacks that X factor I'm looking for. Quite earthy and savoury, this comes across more developed than I expected it to be. Usual varietal traits are present and delivery is super fine though that powdery tannin structure of Nebbiolo doesn't seem to present itself. Regardless, this is a most enjoyable drink without setting the fireworks off. A glass will do me just fine. Drink now and for the next ten years. 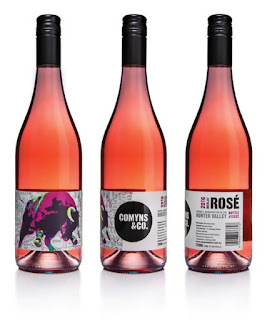 Four new releases under from Scott Comyns' new label, four most very impressive wines - a pretty handy strike rate. 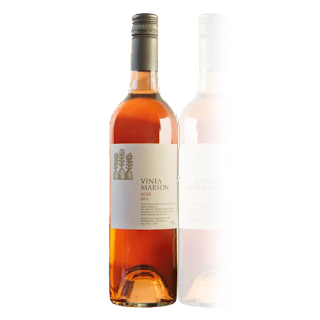 The previous three releases, Mrs White, Fiano and Semillon, were released at the same time along with this Rosé made from Merlot. 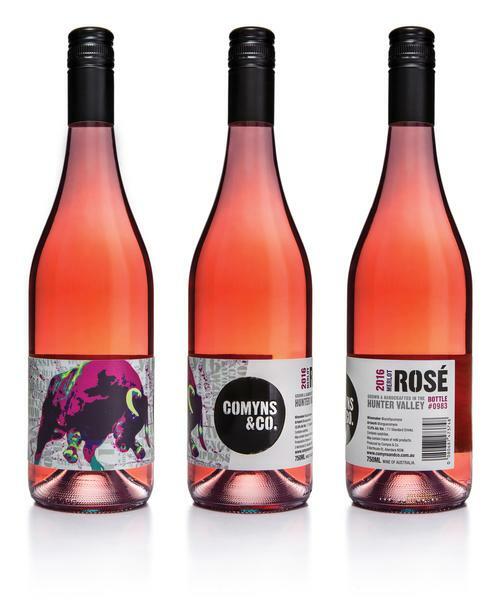 Later this year Comyns will release his Shiraz and his take on the Hunter River Burgundy blend of a 50/50 Shiraz and Pinot Noir. Stay tuned for these - I had the privilege of tasting the Shiraz and Pinot parcels in barrel and they are looking schmick. 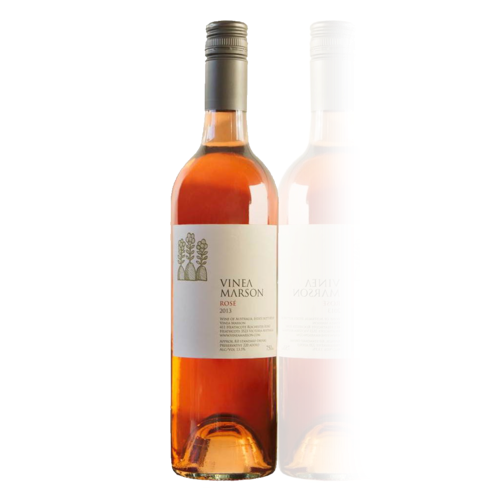 To this Rosé and another eye catching label with the juice inside possessing smash factor. Pretty aromas pique your attention; cranberries, red fruits and red berries. Roughly a third was barrel fermented adding some textural interest. 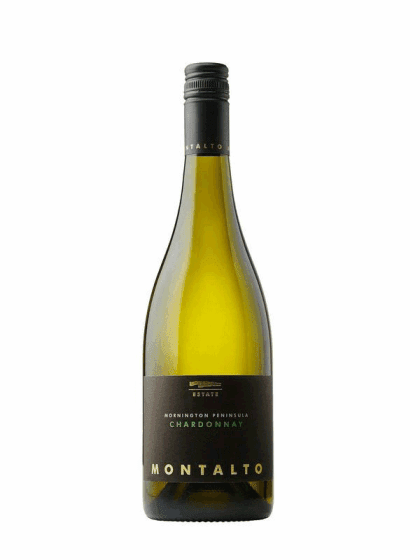 The only filtered wine in the range, this is crisp with a generous helping of fruit before moving to a bone dry and moreish finish. Cut loose here people, there's a pretty high evaporation factor once it hits your glass! 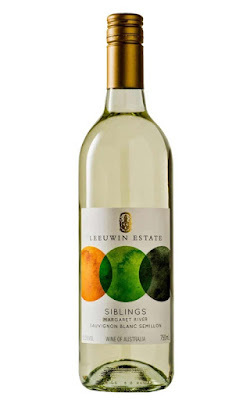 It's hard to believe that this Riesling comes from outside South Australia. It drinks beautifully. White flowers, lemons and limes with a sprinkle of lemon sherbet. Zippy acidity, curd, lime pith with talc and river stone minerality to finish. Lots to offer. Lots of delish factor. I'd happily open my wallet for this when summer comes calling. Gee we are blessed with the quality of wines produced in this country. This Grenache Mourvèdre Shiraz blend (52/24/24) comes in at $18 bucks which is just silly buggers. It's ridiculously tasty and savvy shoppers will be able to track it down for around $12! Juicy fruit is the theme and that fruit does ALL the talking. No oak in sight - a fruit bomb deluxe. 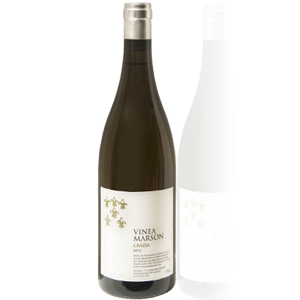 I've been a big of a fan of previous vintages 2012 & 2013, and although the percentages change ever so slightly each year, the quality is always sky high. 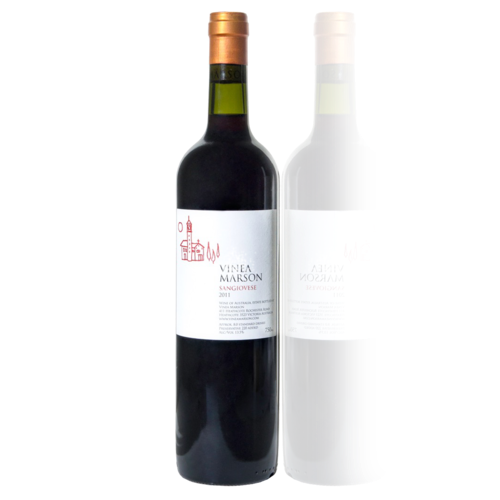 Red fruits, red berries and red cherry aromas. They move seamlessly to the palate where a lick of blue fruit can be seen. Generous through the middle, a fine dusting of pepper rounds out a gluggable wine. When asked for a recommendation I've sent numerous people towards this and they've all found some inner peace. You will too. The labels have been jazzed up and I'm a fan. The typical Corrina Wright cheeky factor is there still evident too... A reference to the year the wine was made sits on the bottom right corner of the label reading: 'Rosemary the sheep had triplets'. Personality and humour never hurt anyone... Well played. This 2016 is a different wine to its predecessors. I'm finding that these Oliver Taranga Vermentinos aren't all out of the same mould which is a great thing. This edition is leaner without big aromas busting a move. There's a softly softly approach about it as cut herbs and lemons calmly wander through finishing with a spice nip. That lean factor ups smash factor. Hot days, the pool and this would be good friends. Gartelmann is a little operation on Lovedale Road in the Hunter Valley. They have a cute cellar door and a cafe, overlooking a small lake, which is always busy. It was certainly the case again when I dropped in briefly a month ago for a milkshake. No fruit is grown on site and the wines are made off site by Liz Jackson out of First Creek. Sourced from Orange, it's the first time Gartelmann have made a wine from this vineyard. It spent 14 months in oak (25% new French), the remainder saw one to three year old American and French oak. This is smart Merlot. Yes, I said it! It's actually refreshing to see someone 'trying' with the variety. This is certainly not one of those boring types that's for sure. Some re-branding has taken place too and the Magpie synonymous with the label takes its place now albeit microscopically sadly. There's an attractive energy about this wine. Black fruits, some cassis, cloves and faint vanilla oak sweetness. 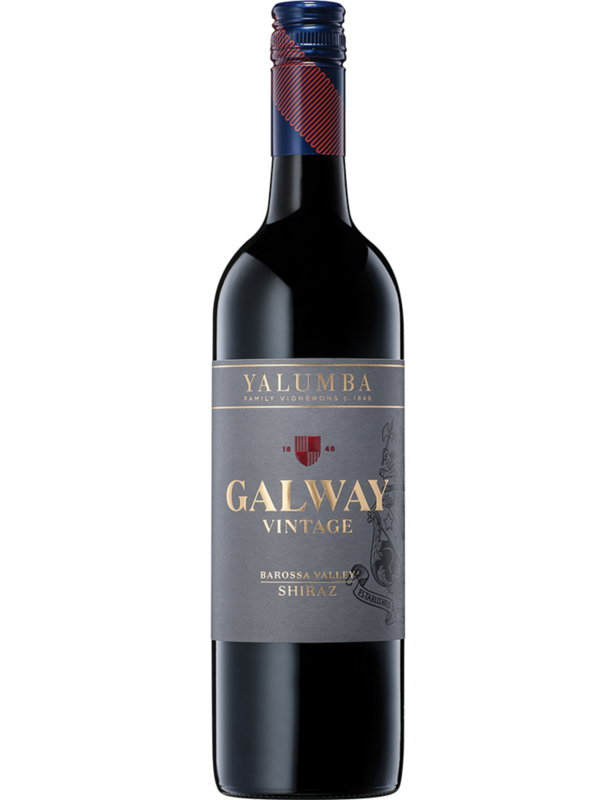 Opulent width and length delivered, black currant and mulberry fruit take the lead in the mouth driving to a mouth watering finish - literally. Good acid frames the fruit ensuring there's plenty of life left here up to eight years. This will be drinking even better in a year or two. Great buying for 25 bucks too. More Merlots like this please. Sweetness can make it or break it. I reckon there'd be punters out there all over this due to the drinkability factor it brings, though the sweetness can also be a detractor for some at the same time. Take your pick. The vines were planted in 2011. Savoury aromas straight up. 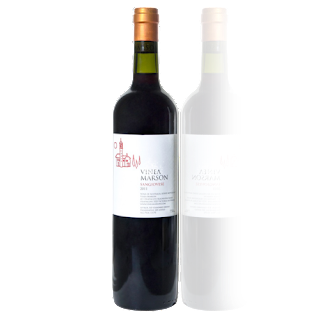 Juicy red fruits, freeze dried raspberries and puffy round tannins rein in the finish, though they are not overly dry. That fruit sweetness sticks to the front and hangs on by its claws all the way. Drink in the next five years. A neat Syrah coming from Heathcote. Medium bodied with a dab of sweetness, delivery is soft and smooth. More time in the glass sees reddish earth come to the fore as does some pan juices. A spice nip whips up the tail. Another wave rolls through before all seems lost as bitter and sour cherries finish the job. One of those wines that grows on you, I'd have a glass with some of those fancy Italian sausages my butcher makes. And I might just do that. 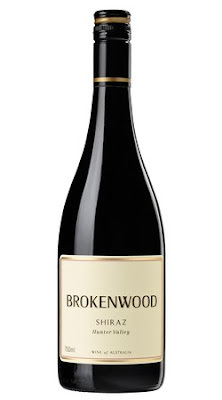 Loaded with chocolate and dark fruit goodness, this Shiraz will age gracefully with ease. The mouth is coated generously, the acid structure indicating a long life ahead too. Wood and baking type spices add further levels of complexity, though the cedary oak does protrude more than I had hoped. It settled in ensuing days - and that's when it was drinking its best. It's easy to warm to in the end - cold nights, hearty meals and friends... You get the picture. Give a year or two for best drinking but will cellar long term. Nebbiolo isn't a variety you see made into a 'drink now' style, but teamed up with Barbera here and there's barbeque appeal for sure. Dusty earth, clove, dark cherry, strawberries and some red fruit aromas. It's a bit thin through the middle though. Crunchy acid sits tight on the flank herding the troops. Nebbiolo plays its hand late with a drying chalky/powdery finish. I could wash a few snags down easily with a glass of this. 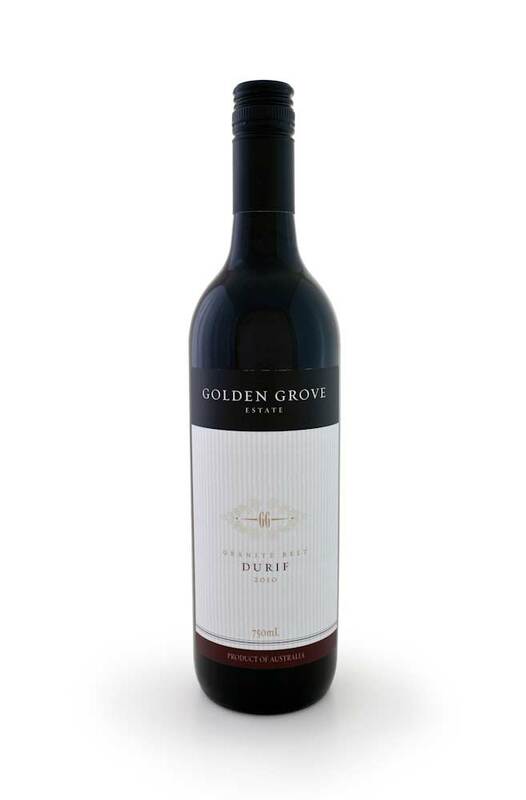 Rutherglen is traditionally king of the Durif variety - except for this cool climate offering from Golden Grove Estate. This is a big boy - thick set, black fruits are bold and rich. A lick of fruit sweetness adds some charm and although there is a firm tannin presence, it's ability to warm the soul can't be denied. Fennel, aniseed, plus a sprinkle of spice to finish, hearty winter dishes and this would make great friends. Drinking well now though I'd like to see it in another couple of years. Long term cellaring is certainly on the cards. 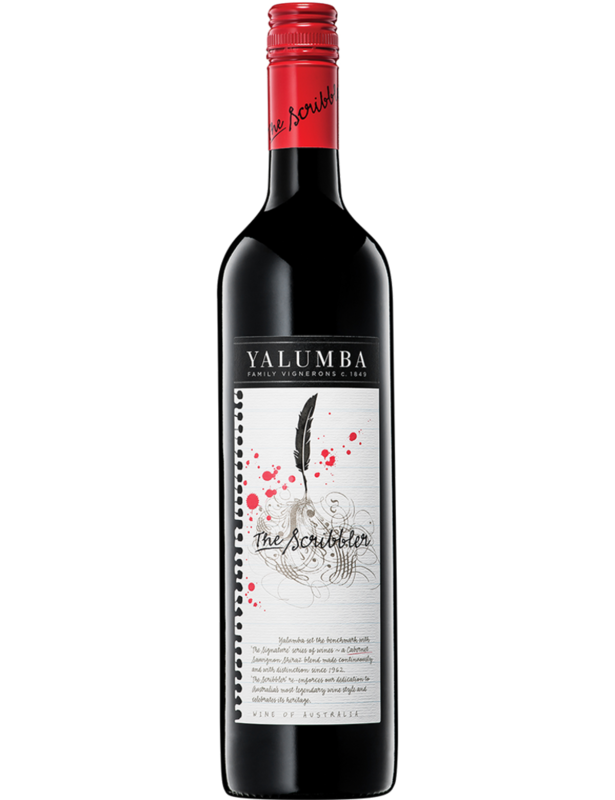 I was surprised to say the least when I discovered this was a Hunter Valley 2014 Shiraz after it was revealed in a blind tasting. This was so not what I expected. The fruit seems suffocated by oak. Sure the earthy and medium body feels we've come to know from the Hunter are there, as is some darkish berry fruit and a shimmer of peppery spice, but it just didn't click. By no means is the oak offensive, it was just not where I thought the wine would be. I could drink a glass with a meal but not much more. Perhaps some more bottle age will help it chill out. Time will tell I guess. Damn I enjoyed this. 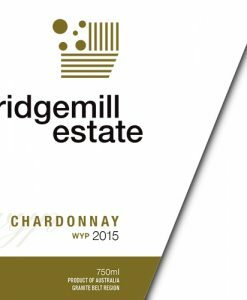 All the noise was made about the 2014 Hunter reds but this Chardy has stepped in from stage right and has certainly put on a show for 2015. Dripping with yellow stone fruits, lemon and grapefruit, there's tremendous balance and poise here. The longer it sat in the glass the more at home it felt. Oak moves through with ease and in unison with the fruit. Delicious length to boot. I'd go here again without question - top stuff. Will live for another eight years comfortably. No pressure here but this Ridgemill Estate flagship wine is the follow up to the Australian Small Winemaker's Show Trophy winning 2014. A leaner style compared to the previous vintage, the main difference is that this 2015 was made with old oak. Half of the fruit was barrel fermented (50% one year old and 50% two year old French oak) whilst the other half went to stainless steel. Weekly battonage also took place. White peaches and white nectarines, soft and satisfying delivery without the bells and whistles seen previously. A gentle squeeze of lemon adds another layer as does some grapefruit like acidity. The roast chook test was passed with flying colours. A quick swirl of the glass and the aromas are certainly not backward in coming forward. Energised, they leap out, almost over enthusiastically. Tropical fruit aplenty - paw paw, pineapples, guava, passion fruit. Papaya steps up in the mouth with a ginger like spice lingering on the finish with some passion fruit. 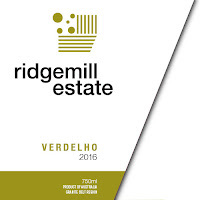 The range at Ridgemill Estate continues to grow, this being the latest edition. There are now eight whites in the range. Right in the spectrum of green things - capsicum, celery, snow pea, asparagus, honey dew melon, cut grass and fresh herbs. Left on light lees for a short period, a slight textural component is evident as a result. Crisp and cleansing but not my style. A really enjoyable blend which ticks the boxes. Plenty of fruit presence, delivery is sleek, oak is nicely integrated - it's just a well balanced drink. Choc mint, plummy drive, a dash of blackcurrant sweetness and astute use of oak. Soft and smooth to finish. A cool night will see this evaporate with ease. A little more time in bottle won't do it any harm either but it still drinks well now. If you asked me to recommend a Merlot I'd have no hesitation and head to this K Block every time. But this 2014 just seems a little off the pace compared to previous years. Sure it looks the goods in the glass, but it just seems to lack the get up and go I was expecting. 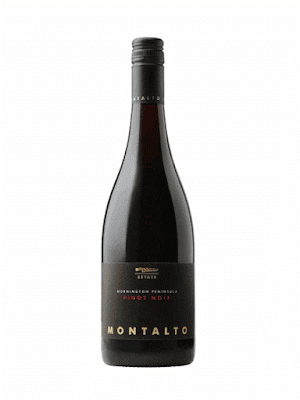 Blackcurrant, dense plum, earth and savoury herbs. Fruit delivery is ok but the acid keeps nipping at me to the point it just doesn't want to relax and move on. Given time it will settle, mind you it was a little more relaxed on the second day of tasting, but for now it's still not quite right. Time will tell I guess. Tropical aromas cascade from the glass. A 66/34 blend, enticing fresh summery aromas of passion fruit husk, guava, little pineapples, some citrus and a suggestion of morning dew get things moving. Clean, crisp and fresh fruit seal the deal. Tight acid keeps all in check framing it perfectly. Green apple skin emerges with more time in the glass leaving green melons to wrap it up. A small portion spent four months in two and three year old oak imparting some texture - I like that. No complaints here - pass the seafood please. 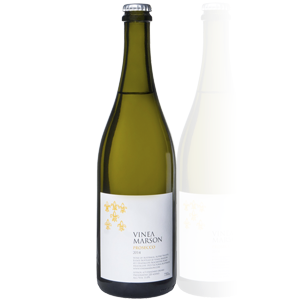 A blend of Pinot Bianco, Malvasia d'Istria and Friulano (36/36/28), it's golden sunrise like in appearance and throws out aromas of apricot, pear and a smidge of honeysuckle. Delivery is rich and generous, with nuts and a delicate spice vibe. There's some serious hang time here too as the spice just hums away. It may not be everyone's cup of tea but there's more than a few who would jump to this style. An interesting drop that keeps eating away at you - in a good way. The final wine was a result of three parcels all treated differently prior to blending. In short, 30% was picked early and fermented with some whole bunches, 40% was picked late and cold soaked, and the remaining 30% spent 60 days on skins. Raspberries and strawberries, some meatiness kicks in. More time in the glass and dried rose petal aromas start to reveal themselves. Attractive aromas all up. Soft fruit generously coats the mouth. A dash of baking spice adds to the textural feel though there is some warmth about it. Fine grained tannins sit pretty. An interesting and expressive Grenache no less. 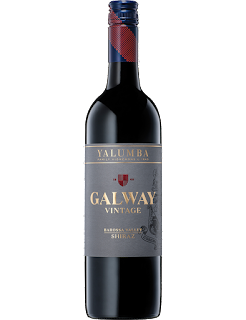 Classic Hunter Valley medium bodied delivery, savoury characters drive this. Earth, some clove, black fruits, dried herbs and charry oak. There's a meaty undertow peeling back another layer of interest. Gracious persistence keeps tapping away on a long finish. Drinking well now and will cellar long term. Crazy tasty Chardy! There's plenty to keep you amused here, that's for sure. Whiffs of green mango, white peach, a squeeze of lime and some nuttiness. Dig a little further and there's a cheesy thing going on. Maybe I'm mad. Maybe it's just the funky factor that winemaker Simon Black brings to his wines. Regardless, this is a tasty wine and one I'd happily come back for time and again. Nicely weighted with some textural goodness, the length delivers a delicious persistence. 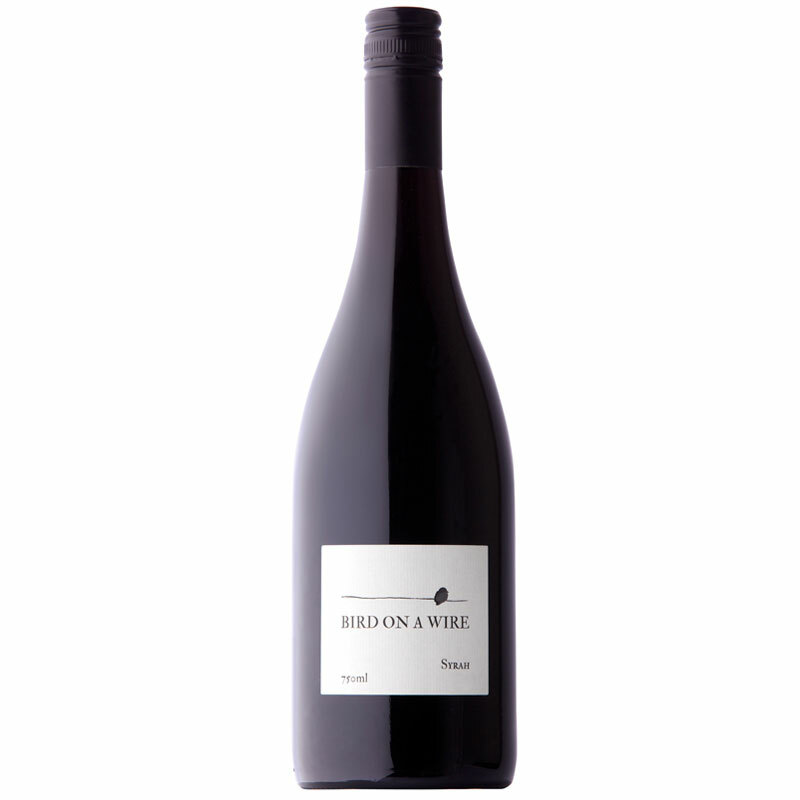 Like the Pennon Hill Pinot, Black has hit the mark for quality and value. Super soft and supple, this medium bodied Sangiovese is in a good place. Savoury herbs, earth, plums and dark cherries seize control with an ever so subtle suggestion of black tea. Gentle spices are sprinkled throughout. Cherry fruit continues to roll through in waves leading to a silky smooth finish. It's drinking superbly now and will sit for another five years comfortably. 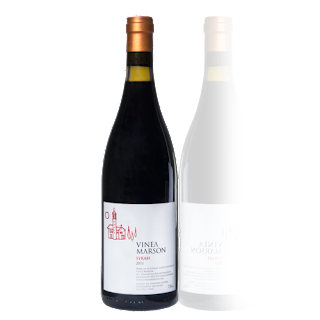 This is the tenth release of this wine with 20% coming from the Warboys vineyard in McLaren Vale. Of the organic releases, this would be my preferred. Dark fruits, plums, some red berries and dark chocolate. There's a concentration of action on the mid palate. It sits there just as a postage stamp would. Peppery spice shimmers through late and clings on for life. Quite an enjoyable wine for the price. I suspect you can find it a little better around the traps than the stated $16. Drink now or over the next five years. This comes off a 40 year old vineyard in the Riverland. Angove proudly proclaim that no synthetic chemicals or non-organic inputs are used during the growing or making of these wines. Good on them too as they continue to increase their organic production. Lots of fresh tropical fruit spilling from the glass. Guava, honeydew melon and passion fruit all sharing the lead role. Clean and crisp, cut herbs and pithy lemon present themselves with a little grip pushing through. A pleasant summer time drop. The majority of fruit for this comes from the Riverland and only a small portion comes from Angove's Warboys vineyard in McLaren Vale. How small is anyone's guess, that info wasn't stated. Lots of plums, dark fruits and a curious smoked hock character lurking in the background gets my attention. A simple stand and deliver wine - what you see is what you get without any flamboyance. Super dry to finish. Mouth puckering stuff. Drink now and for the next couple of years. Such a delicious Sangiovese! I tasted this alongside a Sangio a few years older and it is easy to see the path this is walking. Earthy and savoury characters are king here. Tucked in behind sit shavings of chocolate, plums, expected cherries and dried twigs. Time in the glass brings out purple flower aromas and a hint of baking spice. Generous and moreish, tannins play a soft tune riding this all the way to a long and most enjoyable finish. I wasn't completely sold on this Cabernet, though I think it will turn the corner with some more time in bottle. Roasted peppers, tobacco leaf, lots of plum density and Cabernet leafiness holds true. Still quite youthful, it comes across chewy and cluncky in some respects. Acid shoulders the fruit to the side and needs time to settle. I'd like to see this in a year or two - it just needs to settle into a groove. And the dream debut for Scott Comyns just keeps on marching to a neat tempo - this Semillon is a beauty! Of the three wines now tasted from his new label, what I find striking are the aromatics. So fresh, there is plenty to be captivated by. Scott has maintained some solid relationships in the Hunter and was able to secure fruit from the Army Block on Mistletoe Lane. The label reflects the name too - clever. Lemons, a dash of lemon sherbet, cut herbs, even some freshly cut green apple sits perched in the background. The fruit has great presence and delivers with tremendous poise. The finish is dry, cleansing and entices another sip - and it'd be rude not to oblige. And another. Just like The Scribbler, this Patchwork offers tremendous value for the asking price. Hunt around as it is often priced better on special, under twenty bucks, making it a super buy. Packed with mulberries and blue fruits, milk chocolate and dark plums. It's certainly a generous wine but only carries 13.5% alc. The wine sat in a range of new and old American and French oak, some of which were octaves so it is safe to assume some parcels were destined for the older sibling, The Octavius. Acid seems subdued and let's the fruit do all the talking. Baking spices loom up on a long and delicious finish. A super drinking Shiraz which punches above its weight. Subdued apples, croutons, some lemon rind. Not overly expressive and doesn't come across all that fresh. Super dry and almost sour to taste. It's quite watery and doesn't offer the refreshment I'd hope for from a Prosecco. 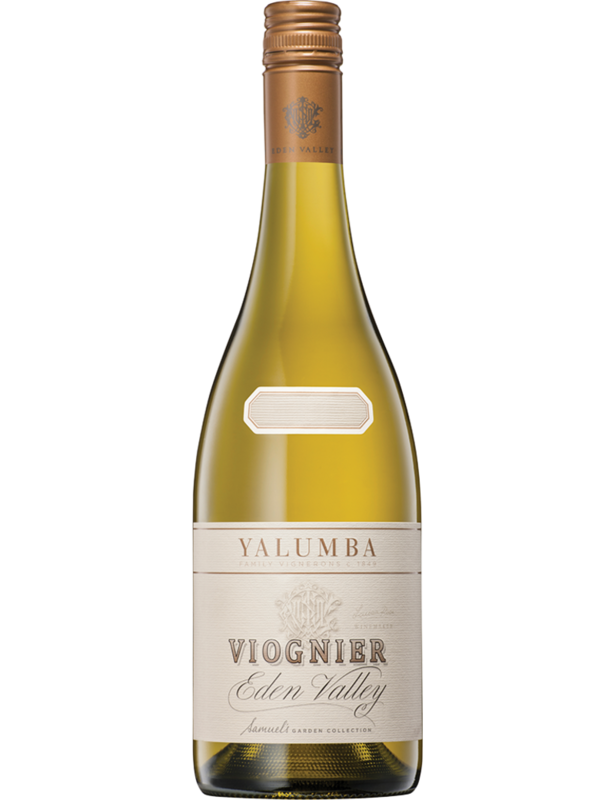 You don't have to spend up big to drink well, and that's precisely the thought I have as I wade through the latest 6 samples received from Yalumba. The most expensive of them being $24 with the ones already tasted certainly punching above their weight. Many other wineries would inflate the price - not here. 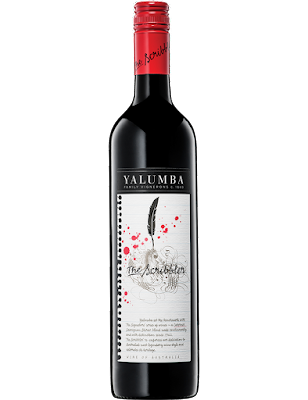 There's a humility about the way Yalumba have gone about it really. This Viognier is classy. 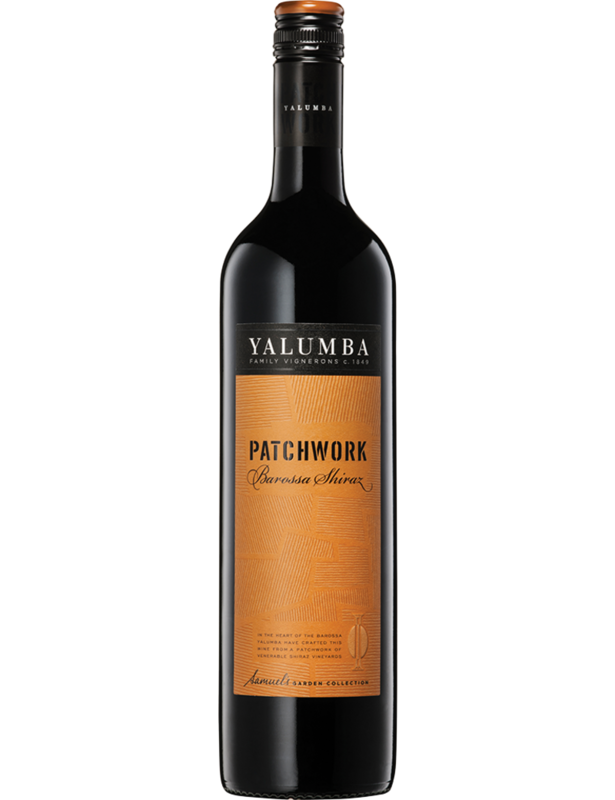 Since 1980 Yalumba have pioneered the variety in Australia. 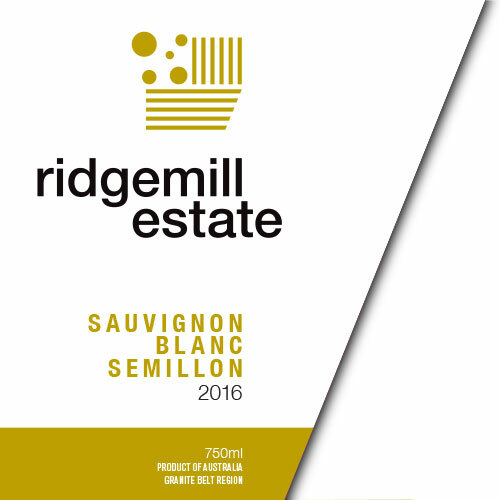 60% of this 2015 was pressed to old French oak and the rest to stainless steel for ten months. Declassified fruit from the Virgilius finds its way in here too - win win. Aromas of field flowers, dried apricot, honeysuckle, ginger, canned peach nectar. Luscious to taste, the fruit is soft and shows plenty of breadth. It's nicely balanced too. There's texture. There's length. Ginger spice has a gentle caress. Yes please! 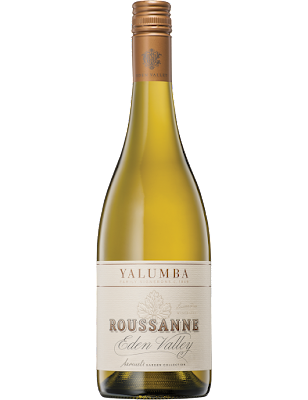 Yalumba's famed 'story teller' Jane Ferrari tells me that their Roussanne was grafted onto Riesling and Pinot. She'd know I can assure you. Honeysuckle, some tropical fruit and melons, a lick of lemon and what seems to be musk all get things moving. There's a fatness about it, really covering the width of the mouth. It's textural thanks to fermentation and seeing 10 months in old French oak. A dab of ginger before a dusting of fine spice to finish. Long to finish too. At a recent dinner this was matched with pickled beetroot and goat's cheese - a dish I wouldn't have considered but it was my food and wine match of the night. I haven't had a look at a Hentley Farm wine for a while so it was pleasing to see a batch of their new releases come through the door. 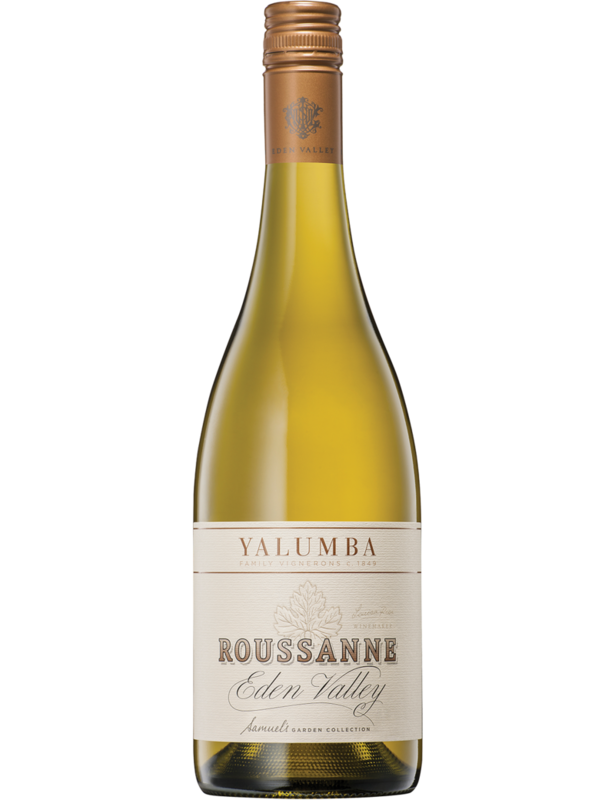 From the Barossa sub-region of Greenock, this is a blend of seven blocks within the vineyard. The wine sat on skins between 7-50 days and saw oak for 10 months, 15% of which was new. I get the sense this is itching to get out of the glass. Aromas are bursting out of the blocks highlighted by dark berries, some blue berry, expected black plums, black olives and some dark chocolate. The fruit clearly still in its primary phase and presents well. Nicely balanced, dusty like tannins sweep through on a long finish. I'd happily have a couple of glasses, no sweat. I caught up with winemaker Caroline Mooney for the first time in a few years at a Yarra Valley tasting which hit Brisbane recently. "It's just got to look like Chardonnay," she tells me. And oh, doesn't this what. Of the Chardonnays tasted on the night, this was at the top of the pile for me. 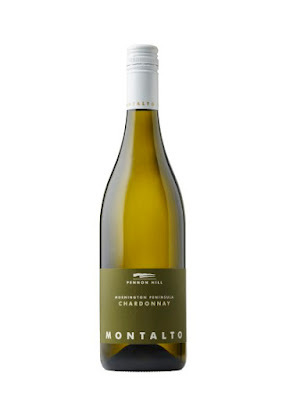 It's the party you just want to be at - well, for Chardonnay fans at least. Think roasted nuts, grapefruit, peaches and cream and an unmistakable whiff of proving dough. I reckon I even sniffed out some Jersey caramel. Some sulfides flicker about too and these add even more harmony if anything. Caroline tells me the fruit comes off Upper Yarra vines which are nearly forty years old. All the acid present is natural and a quarter of the wine went through malo. Some of that malo still shows too. Delivery is full and generous. And that length! The fruit has a persistent drive without being forceful. It's just neat with some complexity to give you enough to chew over. Did I say I was a big fan? A new label to me from Heathcote - I'm grateful to always see such wines, those little operators who put their shoulder to the wheel and churn out some interesting juice. This Rosé comes in as a Sangiovese and Nebbiolo blend (75/25). Tangelo and salmon like appearance, smells of mandarin peel, freeze dried strawberries and a dusting of spice. Not overly expressive aromas but there's enough there to engage some interest. Down the hatch and soon enough it hits its straps. Bone dry, delivery is littered with red berries and red currants. A lick of cream whips through the middle before saliva is drawn out on a longish finish thanks to the cleansing acidity. Just as all seems gone that mandarin lobs up for a final serenade. Nice. Sunsets and a meat board would eat this up. Wines like these are a pleasure to taste. Winemaker Simon Black is meticulous about his work and he leaves no stone unturned. This is a beauty. Mushrooms, dark cherries, twigs, pan juices, some slight clove and char. Super smooth. It feels delicate though teases with some weight. Generous and superbly balanced, a Pinot that seems in no rush to go anywhere. Nor am I now. Returning to the traditional Chianti roots, this is a blend of Sangiovese, Canaiolo and Colorino (55/14/11) with a cheeky addition of Merlot (10%). To taste, the savoury characters stand proud but the fruit seems to lack some mojo. Drying, dark cherries push through without any great excitement - standing on the edge of the dance floor seemingly reluctant to break loose if you know what I mean. Tannins are fine and soft, puckering too sapping saliva from the mouth. A wine which needs food as a wingman. I'd have a glass with a lasagne or even a steak. I tasted this blind in a line up of four Chardonnays including two from the Mornington Peninsula and one from the Yarra Valley. This Pipers Brook just seemed off the pace. Whilst the others demonstrated from varietal strength and personality, this came across almost like a Riesling on first taste. I was determined to correct what I had first perceived here. Green apples, a squeeze of lemon, nectarine and custard apple even in there too. Grape fruit acidity then stepped up the more it grew closer to room temperature but there was a sweetness which was the detractor for me. The presence of a slippery phenolic character lay in wait too on the finish. In the end, there was a bit too much going on here which drew my attention away from the main game.